Can Argentina (Make) Change? Are Thinner Wallets Better? This week, many Argentines will find their wallets a big lighter – and that may be a good thing. It’s because a new 500-peso banknote (pictured above), with a value of roughly US$33 has just gone into circulation, and it solves a whole bunch of problems – at least temporarily. 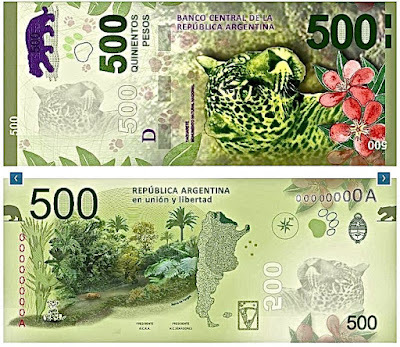 That’s largely thanks to mismanagement by Argentina’s previous government, which refused to issue any banknote larger than 100 pesos (less than US$7) even as the peso plunged in value against the US dollar and other foreign currencies. 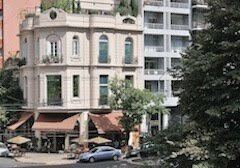 It was part of their effort to deny an inflation that reached upwards of 40 per cent per annum (though it never got to the level of the 1970s and 1980s when, if Argentine governments spoke hopefully of 50 percent inflation, they meant per month). From my own perspective, traveling extensively every year in Argentina and Chile – crossing the border with some frequency – it’s meant a wallet uncomfortably thick with Argentine currency. It was also bad for banks, though - ATM machines, obviously, do not have an infinite storage capacity and, if demand was high, they could empty quickly. Not only that, the armored cars that refilled those ATMs had limited capacity as well, and restocking the machines required more frequent visits. 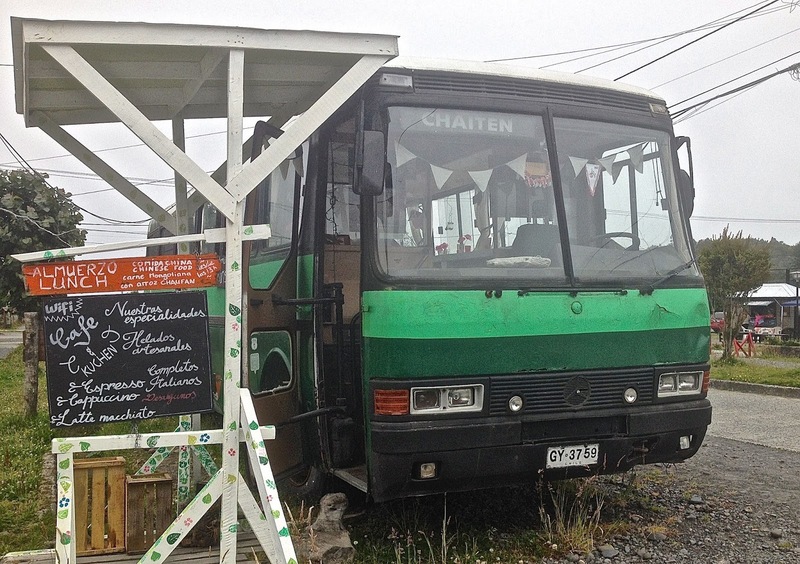 This was especially troublesome in popular tourist destinations like El Chaltén, which received infrequent service from banks in the provincial capital of Río Gallegos (ironically enough, the political home base of former president Cristina Fernández de Kirchner and her husband/predecessor, the late Néstor Kirchner). 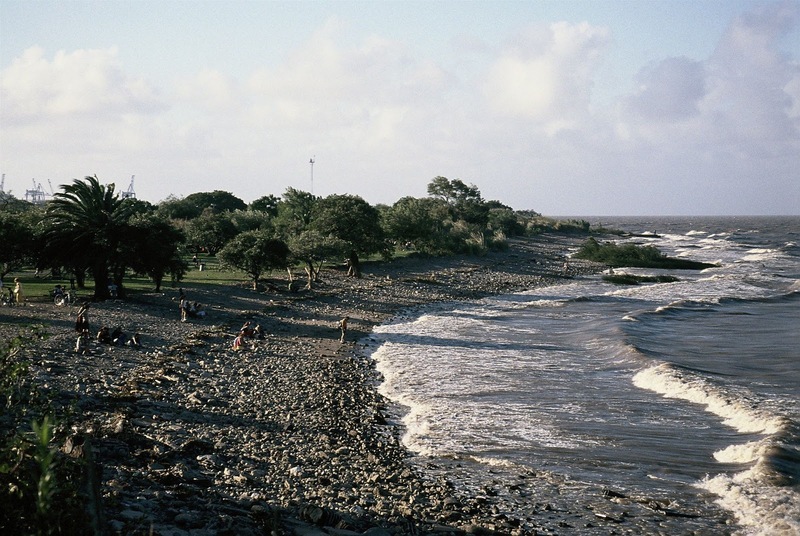 However necessary the larger bills may be, they’re no miracle cure for Argentina’s economic malaise – larger bills might, in fact, fuel the fear of inflation that’s always latent in Argentina. I still remember, more than 30 years ago, the fact of million-peso banknotes that became barely worth the paper they were printed on; more pragmatically, I wonder whether, in the none-too-distant future, today’s shiny new banknotes might fill my wallet as uncomfortably as their lower-value predecessors. 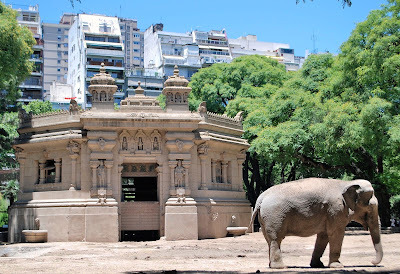 Whenever I’m in Buenos Aires, I always pass by the Jardín Zoológico Eduardo Ladislao Holmberg, the historic zoo that is almost within sight of our apartment and often on my walking routes to sights, restaurants and other attractions of our Palermo neighborhood. 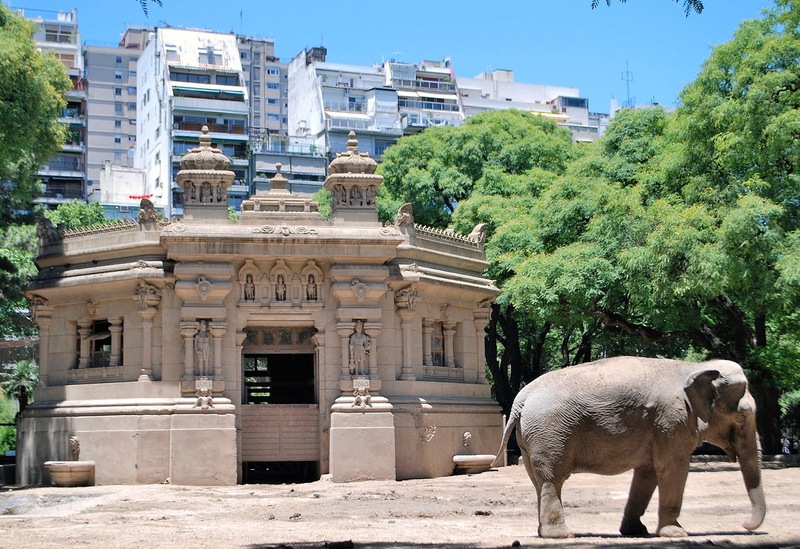 The zoo occupies a prime property, and has some memorable architecture – for example, the Hindu motifs of the elephant house (pictured above). The zoo has always been popular for families with children, but things have been changing in recent years. Mainly, it’s suffered considerable criticism for the conditions in which the animals were kept – not least for the death of a polar bear in the city’s suffocating summer. 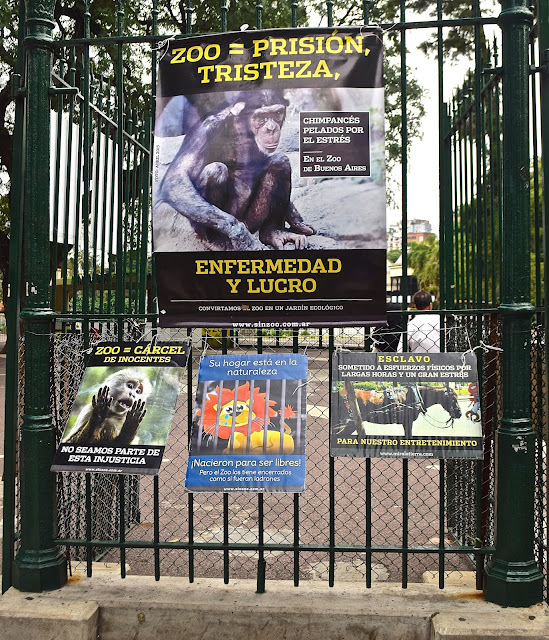 Thus, there have been calls to close the zoo and, when I walked by last month, small groups of picketers left visible demands for its closure, as pictured above (in previous years, I had seen even larger groups). Then, earlier this week, city mayor Horacio Rodríguez Larreta announced the facility’s definitive closure, though it will reopen later this year as a vaguely defined “ecopark” that will rehabilitate animals rescued from illegal trafficking. Some native birds will be released into the riverfront wetlands of the Reserva Ecológica Costanera Sur (pictured above); the remaining zoo specimens will be distributed among “nature reserves” elsewhere in the country, except for those too old or infirm to be moved (they will remain on the zoo grounds, but kept from public view). In the absence of greater detail, there remain some questions – how, for instance, can large non-native species such as elephants, hippos and rhinoceri be relocated to a suitable environment elsewhere? 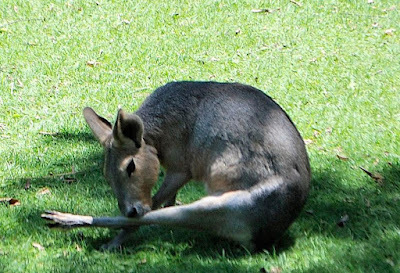 Also, I wonder, will they necessarily remove thriving native species such as the capybara and Patagonian mara (cavy, pictured above), the latter of which roams freely through the zoo grounds? Traditional zoos may be questionable, but I’m not sure it’s completely wrong to acquaint city children with some of the wildlife of their vast countryside. Almost every year, when I head to South America for the summer, I look forward to revisiting the Chilean port of Chaitén – in reality, a modest ferry terminal that connects the major port of Puerto Montt with the Carretera Austral, the southern highway that winds through an area as wild as the Alaska Panhandle. I first saw Chaitén in 1992, while updating a guidebook, and the view of the Andes rising steeply behind the shoreline was unforgettable. 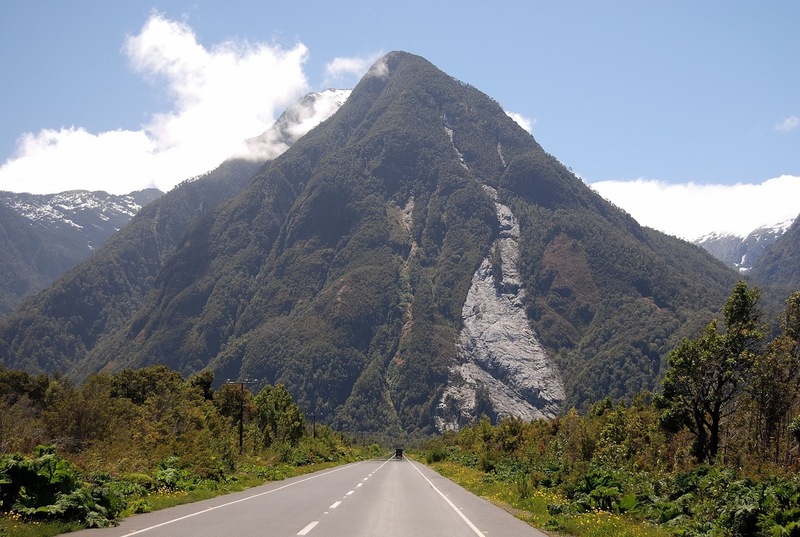 At that time, the town and its surroundings had only about 3,600 inhabitants, but it would soon become one of the access points to Parque Pumalín, the audacious forest conservation project of the late environmental philanthropist Douglas Tompkins. I revisited regularly, but there was a hiatus in 2008, when a surprise eruption of the town’s namesake volcano forced its evacuation. For a time, Chaitén was a Chilean Pompeii – the volcano did not set the town on fire, but waterlogged ash flowed down the Río Blanco to bury many of its wooden houses under two meters or more of cement-hard debris. 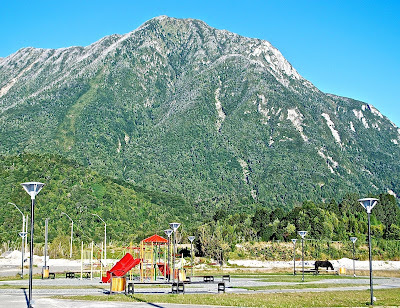 The Chilean government tried to move the settlement north, to a more protected area but, while visiting Futaleufú a year later, I drove to Chaitén for the day and found, to my surprise, that a quite a few residents had decided to return. 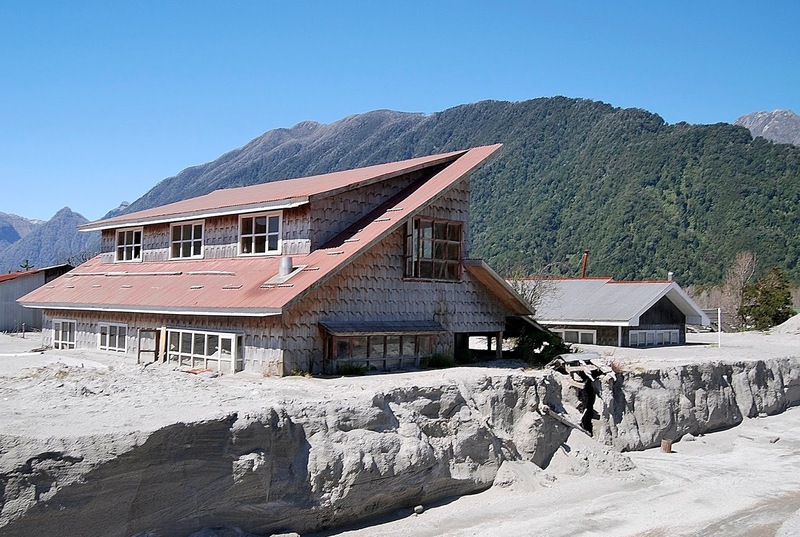 The mountain was still smoking, and many houses and vehicles barely showed beneath the ash, but several residents had cleaned up their properties – including a couple waterfront hotels – and forced the government to provide tanks of potable water. 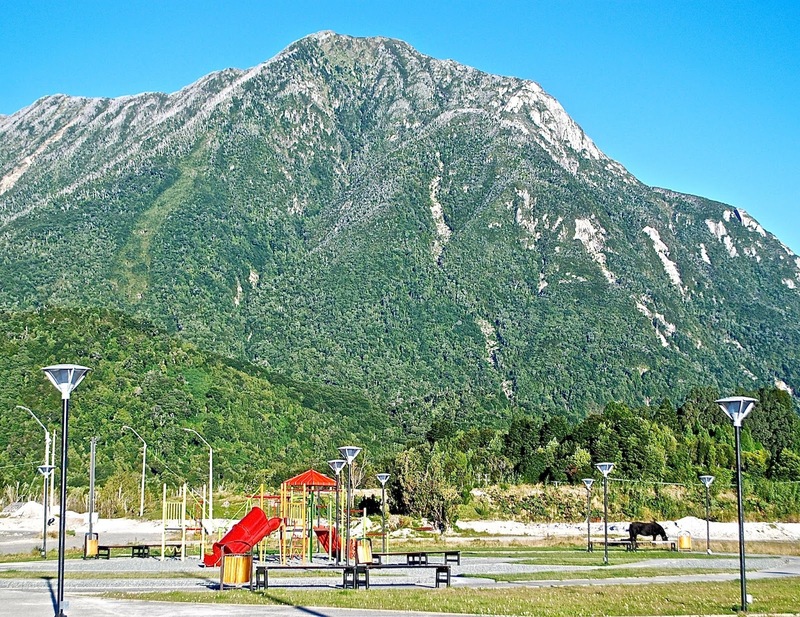 I’ve had my doubts about Chaitén – and probably wouldn’t invest in local real estate – but seven years later I’m impressed by the effort to rebuild. Last January, I saw a new regional airport, new ferry installations, a new park and playground along the river, and private initiatives including a sparkling new hostel, restaurants, and even an appealing food truck (not so long ago, its espresso would have been unthinkable here). 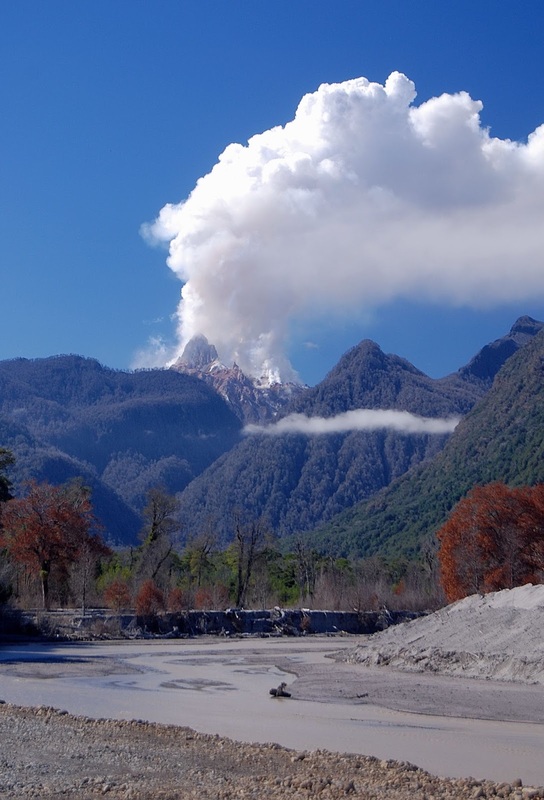 There’s a trail to the top of the volcano now and, while Chaitén is no luxury destination, it’s a rewarding one. I look forward to returning again in November.